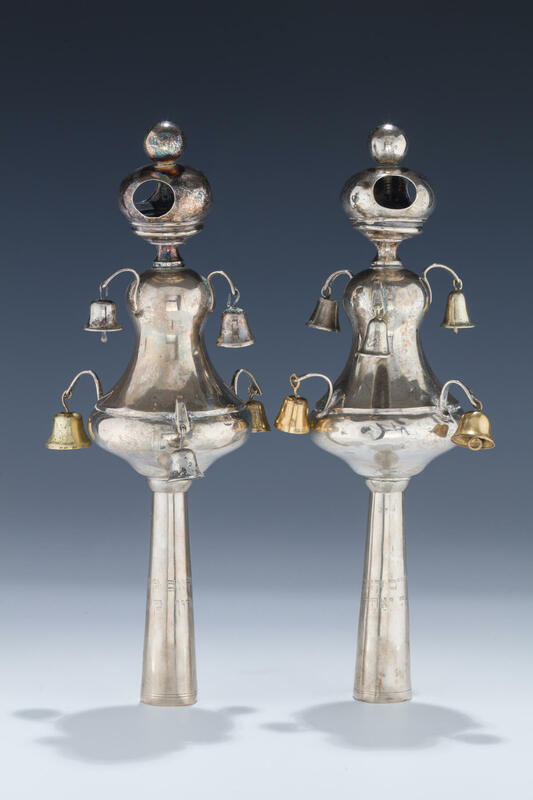 A PAIR OF SILVER TORAH FINIALS. Germany, c. 1850. The body in baluster shape. Crown finial. Engraved with donor information Yaakov Kahn and Aaron Kahn. 11.5” tall.